This bigger 2-oz. size is only available in Brandy preservative. 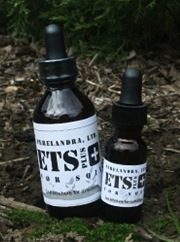 Honour System Note: This service is for those who don't have it in their budget to buy a bottle of ETS when they need it. We trust that you will respect the spirit of this offer. Take us up on it when you need it and when you can, buy your ETS at regular price. This will help us to continue the Crisis ETS Service for all in need. 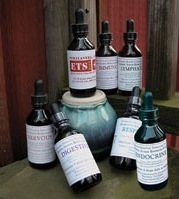 • 5 empty 1/2-ounce bottles (14.8ml) and labels. 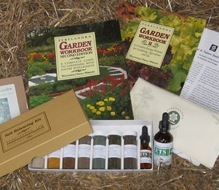 Everything needed to work with nature in a vegetable, flower and herb garden, a yard, farm or greenhouse. weight: 1850g with e-book on CD-ROM with black and white laser printed copy unbound.